I just found this great deal. It's reduced from £349.99 to £299.89! You can get it from www.costco.co.uk including shipping. 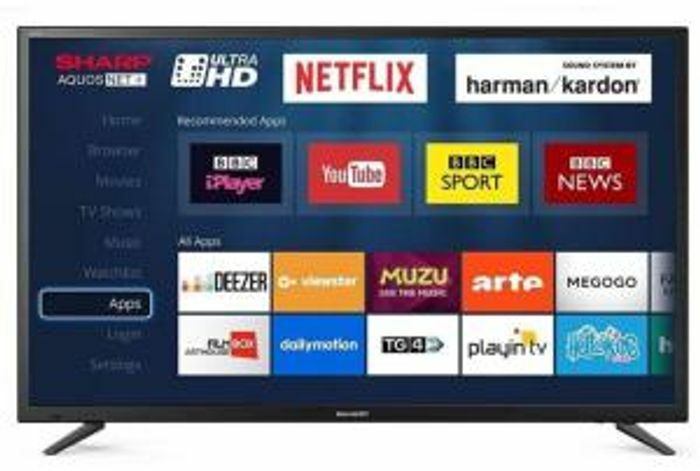 The UHD 4K Smart LC-49CUG8052K has it all: slim design, exceptional picture quality, room filling sound by Harman/Kardon and great connectivity. These TVs sport integrated digital tuners, built-in Wi-Fi, three HDMI 2.0 and two USB ports. With ACE PRO ULTRA picture processing and Active Motion 400 you will enjoy the best UHD picture quality. The high quality speaker system by Harman/Kardon completes the cinematic experience by delivering room filling sound. Great deal with excellent price! What do you think of this Costco deal? excellent deal. sharp are a great brand, thank you for sharing!